What trends will we see with SEO in 2019 and beyond? The mobile-first index means that Google uses the mobile/responsive version of your pages for ranking. Any type of mobile page will work, but a responsive design is highly recommended, since it means you only have one version of each page, which means it’s both less confusing for Google and less work for you. The mobile-first index is not new, but in 2019, it’s more important than ever, because non-mobile-friendly pages will perform worse. As with the mobile-first index, page speed is not a new factor to consider in SEO, but it is increasingly important. As more and more people use their mobile devices (smartphones and tablets) as their primary devices, they are less patient with slow pages. Additionally, the mobile internet is getting faster, with 5G just around the corner for many urban centers. If there is anything you can do to speed up your page, you might want to consider doing it now – especially above the fold. Content depth and quality will be more important, but with that in mind, it is the page that best suits the users needs and expectations that will rank the highest. This means that even if you produce the objectively best and most thorough piece of content on a subject, that is not enough for it to be ranked first. It needs to answer the users queries, be easy to navigate and be trustworthy. Google keeps coming up with new ways to display key information for certain types of searches, so make sure your page is optimized and marked up for all of these (relevant) SERP features. This includes the Knowledge Graph, “People also ask”, Featured Snippets, Reviews, ID links for specific subheadings and so on. What were the previous trends? In case you haven’t updated your site or followed the latest trends in the past few years, here’s a few more tips that are still relevant. The way people talk is often different than the way they write. This reflects to search behavior as well, people will tend to ask direct questions “What is the best budget hotel in Brooklyn?” instead of “budget hotel Brooklyn”. We are expecting to see more Q&A content that will aim to directly answer these questions. We suspect that Google might be moving to adjust link values in real time. For example, traditionally a valuable link in a respectable newspaper is helping your site to rank no matter if the news article is still relevant or not. In the future, we estimate that link value will be more of a fleeting signal that is coming and going, depending on the current time relevance of the specific backlinks. Google is really pushing for encrypted Internet by giving a boost in rankings for sites served over HTTPS and marking sites without SSL encryption insecure in its Google Chrome browser. We expect to see a lot of sites abandoning HTTP and moving to more secure HTTPS during 2017. This is especially vital for e-commerce sites, who might see a drastic drop in conversion rates if their site is marked as insecure on shoppers browsers. We’ve noticed a significant increase in aggressive negative SEO campaigns in some highly competitive niches. By negative SEO, we mean building spammy links that are targeted to your competitor’s websites in order to hurt their rankings. 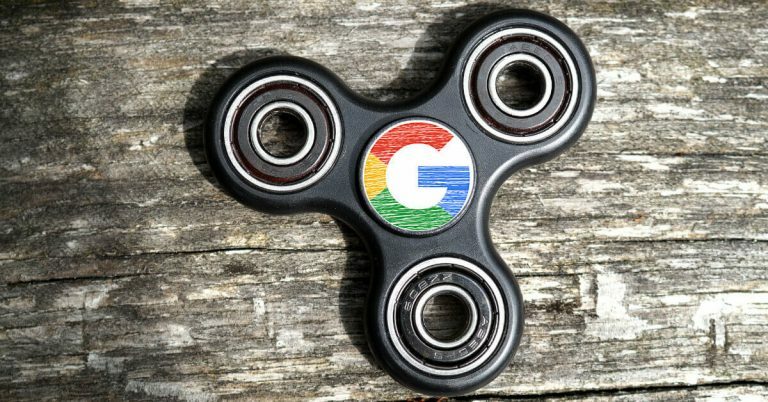 This can be quite effectively fought by disavowing these bad links via Google Search Console, but these tactics can have a short-term negative effect on rankings and therefore sales, and of course, the time spent cleaning the backlink profile could have been otherwise spent on more positive marketing promotions. Also “innovative” Google Analytics spam, where for example, fake traffic is using manipulated language settings to promote their own site or cause while simultaneously messing Google Analytics tracking, seems to be increasing as well. Once again, these can be dealt with proper filtering settings, but it is an additional annoyance. How will SEO be different from what it has been before? SEO has to keep up with the changes in technology and the way people behave online. Like mentioned, voice search will change the exact queries that people are using. Google recently reported that 20% of its mobile app queries were voice searches. SEO is also getting more dynamic as the RankBrain algorithm is not only getting better at understanding synonyms and themes but also taking account on the time-relevance of the backlinks. This means that marketing teams and SEOs need to stay on top of their game constantly to stay in top positions. For users, this is obviously a good thing as they can be sure that the results provided are most relevant to their search. SEO and PR should already be very closely linked. As most of the journalistic publications and press releases are distributed online, they should be optimized for search engines as well. Traditional PR persons often forget to pitch for backlinks, when handling press inquiries, which often leads to lost link building opportunities and referral traffic. The constant changes keep us on our toes. We need to constantly adapt by splitting larger SEO projects into smaller tests which help us to analyze the SEO effects of different variables and simultaneously builds our understanding on how search engines rank pages. What are your predictions? Leave a comment below!